Dr. Zach Hodgins, an Orlando Mercury Free Dentist, is a recognized leader in Dentistry. He practices mercury free dentistry. 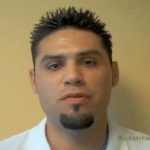 He offers patients a safe and easy way to remove their mercury fillings from their mouths. , and utilizes mercury removal protocols established by the IAOMT, The International Association of Oral Medicine and Toxicology. who seek to raise the standards of scientific biocompatibility in the dental practice with information from the latest interdisciplinary research. In the up and coming blog posts, many questions regarding Biologic Dentistry and the dangers of Mercury fillings will be discussed. For more information regarding removing your Mercury Fillings, contact Dr. Hodgins’ office at 407.647.1744.